The #1 thing that will determine your financial success in life is your mindset towards money. As I already wrote in The Big Picture Guide to Get Control Over Your Money, your attitude towards money is actively creating your financial reality. And the most influential part of a mindset are the beliefs you hold true. Unfortunately many beliefs are operating subconsciously. Once we accepted them they are our reality. Until we question them again. So the first step is always to get aware that these limiting beliefs about money exist at all. You need to find them. Maybe your money beliefs are already empowering you to create an abundance of money in your life. But maybe there are still some limiting ones. Then it is relieving to get these limits out of your way. So think about it, what does money mean to you? Complete the sentence: Money is ______. Fill in the blank. And then: Money means for me ______. Write it down. 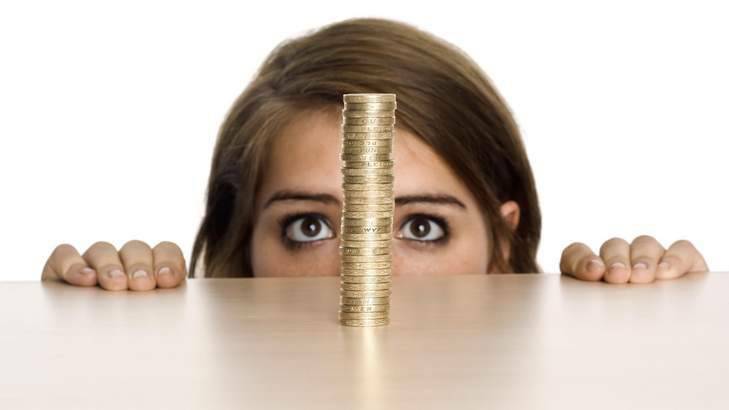 This little exercise alone can reveal some of your limiting beliefs about money. A common misconception, if you haven’t mastered this area of your life yet, is to think of money as something bad, or even evil. It’s an abstract belief, looking from the outside. Or maybe you have had some bad experiences with rich people and created the limiting belief that with money everybody will become like this. Or maybe you think about when people make money their one and only goal in life. When they start chasing money and get blind for higher human values like love, compassion and character integrity. This, of course, is wrong. But it’s not the fault of money. The people doing it got it wrong. They made money their king. They have become a slave to money. So money is just a neutral medium that follows along with how you use it. It is your responsibility to make the best out of it. This limiting belief about money expresses that you don’t take money seriously enough. It’s not one of your priorities. But this is the exact reason why you haven’t achieved a satisfying situation with your money yet. Treat money with respect and give it the time it deserves. Then “it” will respect you. This belief comes from not understanding that in order to create financial abundance you actually have to save money. If you spend all the money you earn, instead of saving and investing it, you will never create the financial abundance that you could have. Spending money on nice things has its place, you should enjoy your lifestyle. But don’t overdo it. You have to make sure to get into the habit of saving and investing money. This is really a big excuse. It is especially an disempowering belief because it gives away your responsibility to care for your money situation. And whenever you give up responsibility you also lose power and influence over your life. This is another piece of rubbish because it asumes that you cannot learn new things. As I wrote in the Big Picture Money Guide you have to educate yourself about money. Study money. Then improvements will follow naturally. Start by reading a good book about money. The past does not equal the future. Especially if it isn’t even your past. You are a complete independent and individual person. What other people did or did not has no power over you. You decide now! So take responsibility for your own life and learn to improve your financial life today. This plays into the scarcity mindset where you would think that there is not enough for everybody, including you. This is opposed to the abundance mindset, which assumes that abundance could be created for everyone, including you. And one part of it is to look for the smart way to get wealthy. Not in a sense of looking for a quick fix or doing questionable things, but by understanding what leads to wealth. This means understanding how you can create real and lasting value for others and then offering it for a good price. This is true wether you are a business-owner, self-employed or employed. Playing the “either rich or…” game is based on the wrong assumption that to get rich you have to get out of balance. This is not understanding balance. When you know where you can create real value for others, it just becomes one part of your life, as any other like health or happiness. It then will be just one part that goes well. Money is an representation of the value you have created for other people. As I said in the 1st belief it is a neutral medium and it’s entirely up to you what to do with it: good or bad. If you are able to create value for others, that’s a giving personality already. If you use your money to help even more, reinvest it in your services or in the good services of others, then that is adding more value to other peoples life. If you believe any of those or similar beliefs you have to change the way you think about money. Because these beliefs are shaping how you handle your financial life and how you tend to create a reality aligned with these beliefs. 1. I’m not financially free, because ___________. 2. I’d love to have more money, but ___________. You can use “because” and “but” for exposing your limiting beliefs for any situation. Maybe you want to adapt the sentences a little to fit your needs. Then try to come up with supporting beliefs about money as in the 10 examples above and overwrite the old limiting beliefs by affirmations. For instance repeat your new found supporting belief while you are jogging, relaxing, in the morning or before you go to bed. Good luck and I wish you an abundant financial future! Thanks for these. It’s not “money is the root of all evil”. This is often misquoted. It’s “For the love of money is the root of all evil: which while some coveted after, they have erred from the faith, and pierced themselves through with many sorrows.” (‎The Bible, 1 Timothy 6:10 KJV) There is a big difference. This scripture actually taps into the heart of greed and its impact. Money itself is not evil. It’s necessary. I admit, growing up poor has ingrained limiting beliefs I’m trying to overcome, including creating a budget. what about that Money is a system of control? Do you know that central banks creates money from nothing and then want to make us believe that “there are no money” to meet the needs of the people? Do you know that France CFA currency controls and exploit one of the most rich country of the planet (Africa)? Do you know that this system is based on scarcity? Less money there are more you can take people in slavery and in competition and division among each others. We throw away tons of food every day to keep the price higher or we throw away food because people simply can not pay. Do you know the most important scientific discoveries are covered up because are not commercially advantageous? Does not exist the real value of something, the value of something is a personal feeling. Money is a psychological game, 6.99€ instead of 7€ shows you how we can play with the perception of money and value. Money is not root of evil, the human heart is responsible for what we create in this planet but Money is the perfect instrument to enslave and control people. Money is the servant of Hierarchy and power, we don’t need money as humanity, it’s just a belief because we grow up with that. I completely agree though that in this system it is something to take care of, it’s important and we can be limited by lack of confidence or belief rooted in the past. Money though it’s a limited belief itself, we don’t need money at all to create abundance in this planet. We made everything with Knowledge, resources, time and organisation. People do everything not money. Actually money is a limit in itself for real abundance, just think about people that can’t buy medicine or study because they don’t have money. What a stupid limitation don’t give to a member of the human community all he/she needs to thrives and then share his/her knowledge and skills with the community. Your Inspirational topics which you sent am realizing rapid changes toward my life. Especially the topic of “Money” which i always termed it to be the “Power of everything in this world” I read thoroughly about; Guide book about money and the topic: 10 most limiting beliefs about money. I real want my Life to be financial free hope after doing the whole course. And i want to go as far as yours courses are concern. Please keep sending your material. Great post thanks a lot ,I want to share a tip which is whenever I want enjoy my money I try to buy sth which has value for instance instead buying a hunderd fake I buy one gold jewelry or dimond or I am careful for my shopping for my home I buy sth that If I need money I can sell them and have my money even more than I had bought them before in my country the price of things go up after years such as carpet, gold ,car ,land, silver…..so I try to have them it is some how investing and enjoying too. Good ideas Jan, thanks. Especially the note about finding limiting beliefs about oneself. Overwriting your Limiting Beliefs is IMHO not the most effective way to get rid of them. It reminds me to much of RET; if you practice again and again in replacing your original thoughts you may finally succeed, after a long time. Better to use timeline, spinning, anchoring, circle of excellence that will give you fast and longtime results. Many thanks to you Myrko for this wonderful post about finances. I remember some time back I had asked you a question concerning the same. My biggest challenging issues is that I’m still searching for a job. l graduated in hotel and hospitality management, but still getting a job here is so challenging. I take part in voluntary community based activities to expose my skills. I’m a martial Arts instructor but still getting a good job is a problem. I’ve a small community club where I teach youths fitness and self defense techniques. still this is part of my community voluntary since the youngsters are from poor families. Thanks for this addition SJ Scott. Yes I would say lacking money can create a lot of tension and can bring you to fighting for basic needs. This is usually just not a good supportive environment for the flowering of relationships. Now, of course, having money will not get you a stable and quality relationship. It is never a good thing to have your significant other be interested in you only for the dough. On the other hand, the LACK of money has destroyed quite a few relationships. Being, at least, comfortable financially does help to keep a relationship going. Thanks for this detailed and insightful comment, Jackie Lynn. In fact all 3 statements represent limiting beliefs in themselves. It’s also very common hat they are probably programmed subconsciously in childhood. They have to be made conscious and then reevaluated and replaced. Good insights and thanks for the addition! Hello Myrko, The information you have provided is excellent. I am so happy you sent me this information, even though I do not remember this as a problem I voiced to you, when you asked what you could help me with. My non-answer in this regard is/was because I have always been reluctant to even want money. My focus has, for much of my life, been only religious. And my prayers never requested money, I would only ask for the things in this world that I needed to exist here. And I had to be careful with that, because I always got what I asked for (at some point). I would like to offer some new information that has on this topic that has recently come to my attention. It is much like what you have written. However, this new info adds and extra little twist to help the person realize his/her goal without ‘force’.or struggle..
Second.of all, More than one set of categories can hold us back from what we want/need. So let me tell you that another thing I could answer that statement with (for Me) is “I cannot be financially free because ‘My own family is rich and they are selfish and mean, they did not work for their money, they set the business up and it ran itself, they did not really earn the money”. (it could be that they worked very hard), but I probably heard adults say they did not really earn their money and that they were selfish and mean – and my mind accepted that as true, because what you hear when you are little you do not filter, or give any thought to it’s validity. OK so if you are following this idea – Then that translates in my adult life that “If I have an abundant amount of money, I will be mean and selfish so maybe even I do not want money, or maybe I think no one will want to be with me because I am selfish and mean . Then there is the 3rd option. Say I answer the statement I cannot be financially secure because I am not smart enough, or I halve trouble learning something new. Then it could be translated in my mind as “If I try I will fail” That could have happened as a direct result of things adults said about me as not being very smart or bright, or something being wrong with me when I was a child. ( I remember this being said in my presence as a child – even to the extent that my parents should get me some professional help) and my mind accepted these things as true. so it has translated in my mind that If I try, I will fail. 3) If I try I will fail. That will help them stop the struggle against their success. It is something about placing it in one of those categories that helps you see or even remember that these comments were made by adults when your mind was unable to filter or reject them, and once you understand how the thoughts got there it is so much easier to reject them and replace them with appropriate statements like the ones you offered (otherwise it is more of a struggle to replace the old unwanted with the new and chosen and true statements about yourself. I know this comment was very long, but it is a very nice addition to your thoughts. And it came at such an appropriate time, because I just learned this information a few days ago, and it has been very helpful for me in my effort to replace those wrong statements that caused me to defeat my goal to eat healthy. I have not fought with myself even once or even struggle (and then lose at least half the time) about whether to buy or eat the food that will perpetuate and exacerbate my diabetes. I have never felt this free or successful to do what I set out to do. I have not applied it to my finances, but I get it, and now I can. I’m responsible for and will create my own financial independence. I find a way to create value for others and earn the money I deserve. great post again Mr. Myrko Thum. free, because im dependent on my aged father, and do study for jobs or career. money, but don’t know, what to do. Get a job or career? Im a law graduate. Can someone help me for supporting believes? Great Craig, when we open our mind new possibilities get on our radar. I wish you can seize those now. A great follow up to your last post about money Myrko. I wrote last time that I have turned my finances around recently, but there is still work to be done to be financially free. The 2 questions you gave at the end, exposed a couple of beliefs I have about money, and I’m sure there are a few others that are holding me back that I can work on.